Get started learning about the basics of welding in this introduction to fusing metals using a MIG welder! Through these step-by-step guides, you'll learn which tools and equipment you need to get started as well as general metalworking tips and best practices on how to make safe and structural welds. This class is designed for people with absolutely no prior experience ever working with a welder. 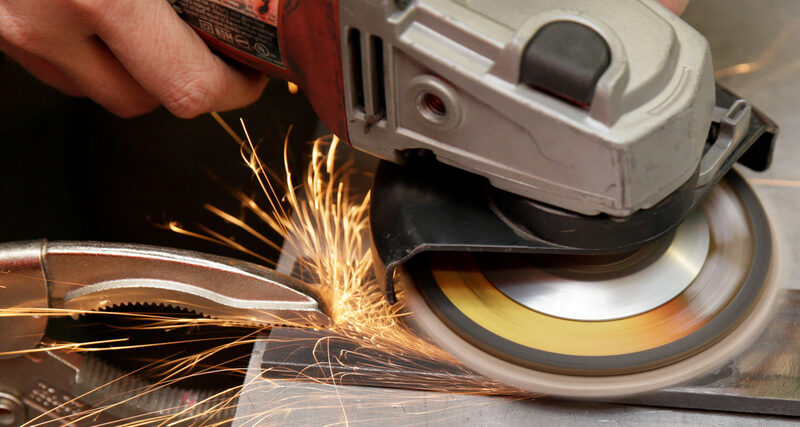 You should be comfortable working with power tools like electric saws and angle grinders before starting this class, and once you have completed this course, you will have the knowledge and confidence to tackle any build. Ready to try your first welding project? Check out this perfect capstone build that will get you inspired to start making your own steel furniture as I guide you through how to work with readily-available steel square tube and make a simple stool. If you've used your welding skills to create an awesome project, write an instructable about it and try entering one of our awesome contests, like the Epilox X Contest for a chance to win some great prizes! Hi! I'm Audrey Love, an artist, fabricator, and baker residing in Los Angeles, CA. I received my BFA in Studio Art from the University of Nevada, Reno in 2011 with an emphasis in digital media, sculpture, and photography. My intersectional art practice has pushed me to learn skills such as welding, woodworking, and electronics - and I'm still hungry for new skills all the time. When not working on Instructables projects, you can find me camping, hiking, and dancing all over the world. Follow me on Instagram, or dance with me on Spotify. Be sure to check out my other classes on Instructables! 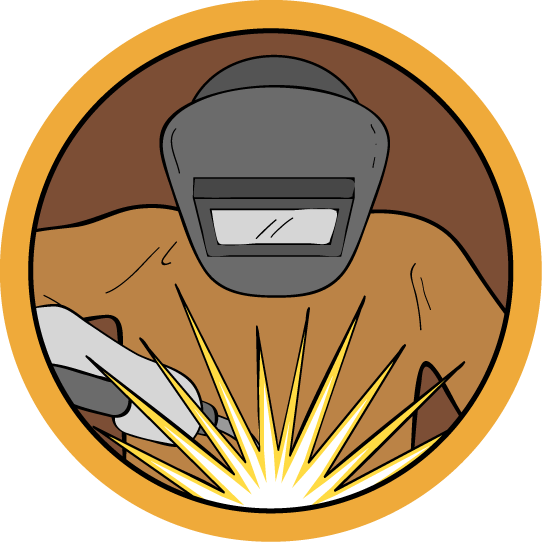 This lesson goes over common tools for welding metal, as well as a complete list of consumable materials needed for this class. Finally, we're welding! In this lesson, we'll set up our MIG welder for use, and practice making a few weld beads. You'll encounter lots of different kinds of cuts and joints when assembling parts for welding. This lesson goes over how to cut down stock and best practices for making welded joints.